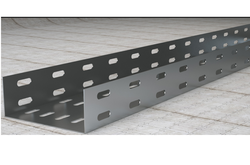 We are a leading Manufacturer of stainless steel cable tray from Coimbatore, India. We are leading manufacturer of Stainless Steel Cable Tray and our product is made of good quality. Looking for Stainless Steel Cable Tray ?